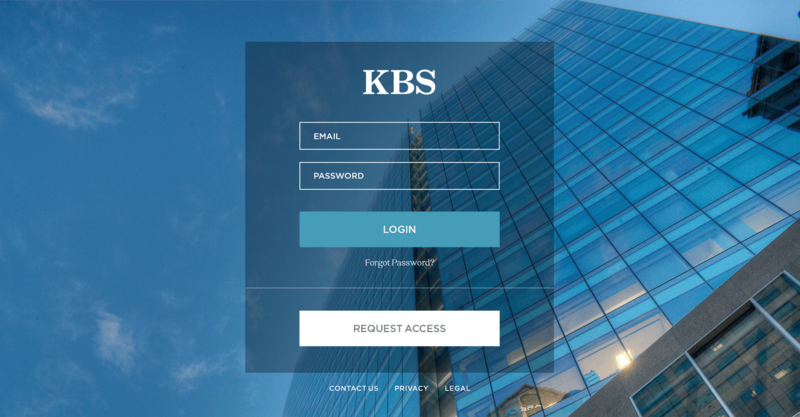 With over 450 million square feet of office space, and $10.6 Billion in assets, KBS is one of the largest commercial property owners in the country. One of the more memorable moments in our relationship was when a few of their top executives claimed one of the most important reasons they hired us was that we were "different." Aside from our exposed tattoos and casual attire, we'd like to believe our out of the box creative thinking was the "different" they were looking for. 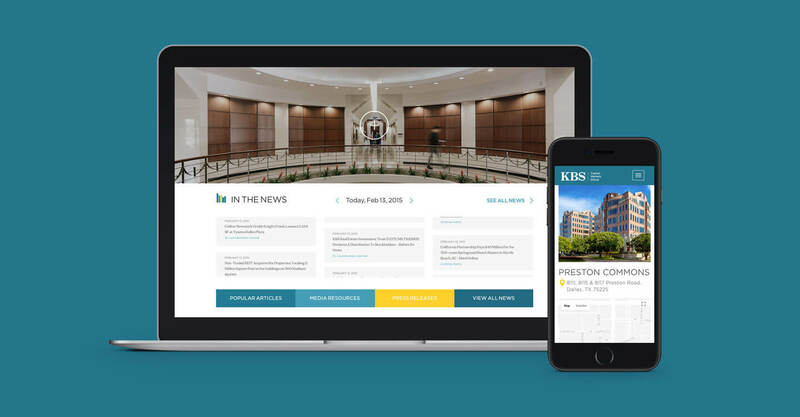 We partnered with KBS to redesign their multiple websites and to produce compelling videos for the brand and their marquis buildings across the country. 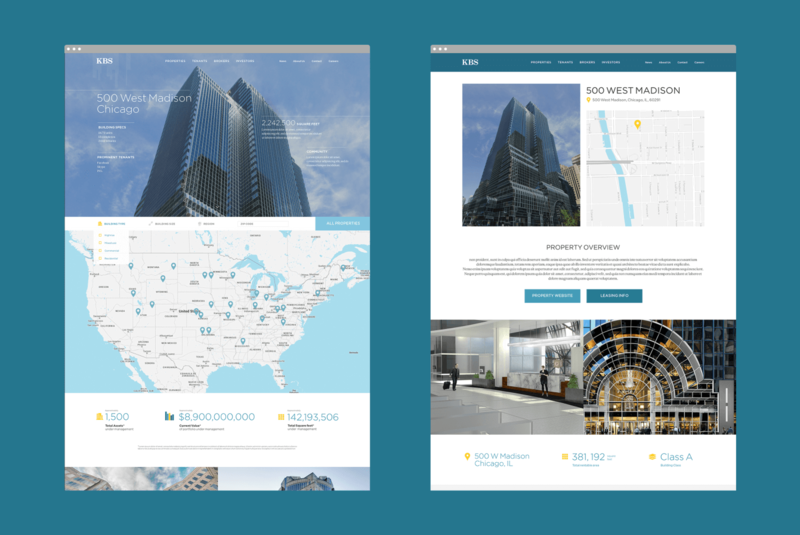 Create a website, and an array of brand assets, that accurately represents the company’s stellar reputation and effectively re-introduces the brand as a forward-thinking leader in commercial real estate. For us to pull this off, we were going to need assets. Starting with photography & video, we traveled around the country shooting properties and lifestyle settings that showcased the unique environments that make KBS offices a step above the rest. 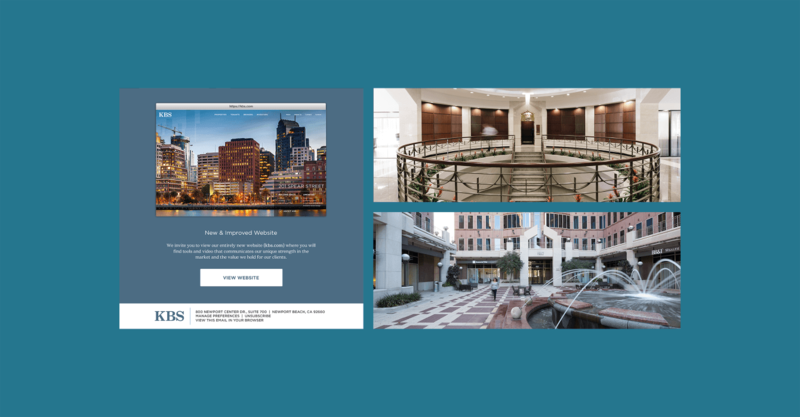 We followed with a new brand video, re-designed their websites, and built them a clever custom application to manage buildings, brokers, agents, and internal operations.